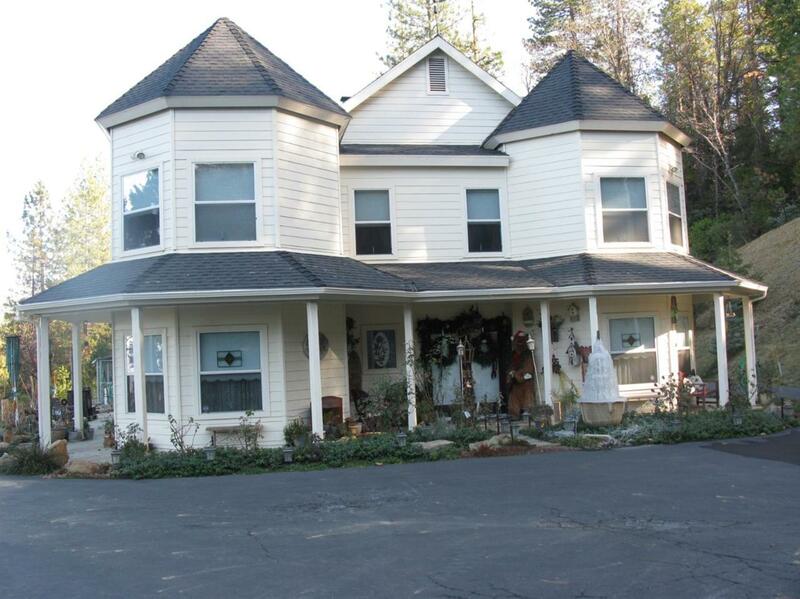 This beautiful, Victorian Estate sits on 25 acres and has a million dollar view of Jose Basin, Shaver Lake, Dogwood Man, Pine Ridge, Music Rock, The main house is 2277 SF includes a gourmet kitchen with state of the art appliances, warming drawer, subzero refrigerator and gorgeous granite counter tops. The 2nd story boasts a fabulous master bedroom entered by double door consisting of a bedroom with fantastic views, a sitting/dressing room, propane stove, huge master bathroom with double sinks, shower and Jacuzzi tub. The guest bedroom has an ensuite bath and is also located on the 2nd floor. The garage is another special feature right up there with the view. It's 1631 SF with 4 bays, one of which is for an RV plus a 1/2 bath. This garage could easily park 8 cars tandum. Above the garage is an add'l 408 SF and is currently used as an office and exercise room. Additional features include Custom fans throughout, Miliken carpeting, porcelain tile floors and nickel fixtures throughout. Listing provided courtesy of Pamela Santy of Lion Real Estate.